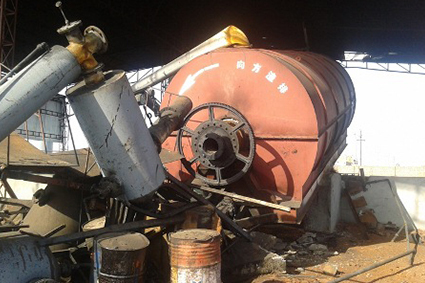 Safety in pyrolysis plant became an essential and increasingly important health and environmental security issue since due to explosion caused by pyrolysis plant operation a large number of people were seriously injured or died. The burning of hydrocarbon waste, for instance utilized tires, oil sludge and plastic waste using a high heat and no-oxygen access is defined as pyrolysis process that is also means cracking. Wide pyrolysis development may be a good waste management industrial move if only the correct process is adopted. In any events, the hazards associated with process of pyrolysis arise from the releases of toxic gases and explosions. Hydrocarbons exempted from the pyrolysis reaction are highly flammable. Under the enough heat and oxygen, an explosion may occur. In the accident took place in Indian manufacturing chemical company in Chennai the boiler were flung up to 30 meters from where the pyrolysis plant was located. That day one man died and two others got injured. Another bang of tire recycling unit in India (industrial area Panchkula) happened in 2011. It was caused due to the high pressure, which led to the serious burn injuries of the plant operator as he was standing too close to the vessel. Another worker received minor injuries in the fire. Bangs can be caused by combustible gases leakage from the waste treatment chambers. At the beginning of 2014 in Joensuu (Finland) three people got injuries in the accident occurred at a heating oil (bio-oil) renewable production unit, after the process had shut down automatically due to strong fluctuation of the liquid levels. The nitrogen rout was blocked, the hatch was opened and the incoming process gas reacted and it caused an explosion inside the industrial area, the entire unit became surrounded by toxic smoke. In 1998, German pyrolysis plant manufactured for the municipal solid waste treatment suffered a major accident, resulting in the release of the pyrolysis gas into the air. An entire surrounding had to be evacuated, and some residents were brought to the hospital for observation. In 2012, pyrolysis gas explosion happened at Russian oil sludge treatment plant in the Khanty-Mansiysk. Due to the accident, eight people died; another eight workers got carbon monoxide poisoned and burn injuries. 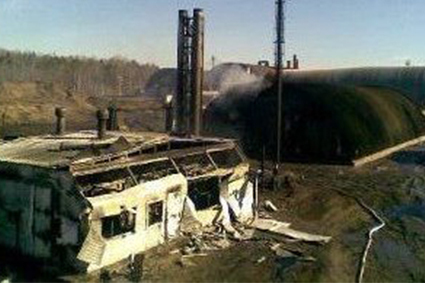 At the end of February 2014 in Budennovsk, at the high-density polyethylene production plant owned by well-known Russian oil company one of the explosions recorded. 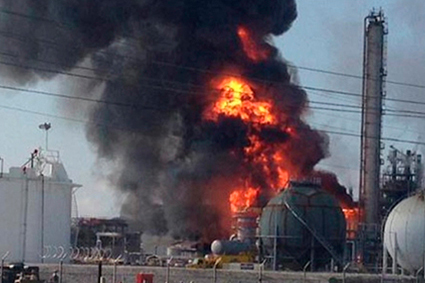 A fire occurred in pyrolysis gas separation unit because of the depressurization of the aluminum heat exchanger. By controlling the oxygen amount contained in a feedstock, temperature rise and pressure during operational conditions such accidents can be prevented. Manufactured by IPEC company pyrolysis plants keeps the rising of the temperature even and smooth, 2-3°C per second. In addition, the pressure in the chamber is controlled by temperature rise rate. Flue gas emissions are controlled by multistage flue gas purification system where the gas is scrubbed of acid components. IPEC pyrolysis plants is the environmentally friendly solution assures 100% of personnel safety.